For those of you at the heart of the London alt. 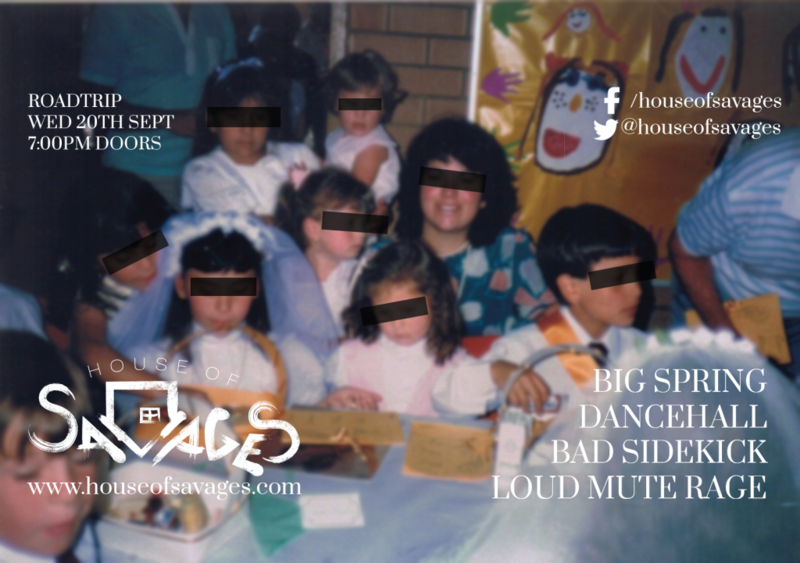 rock scene the House Of Savages brand name isn’t one that’s new to you. Celebrating it’s 3rd Birthday Party, the London-based event has been supporting new and emerging talent in the South-East by creating a great, free event for those who enjoy quality curated events and seeing the bands who will headline Reading/Download/2000 Trees very early on. Bad Sidekick: Dont’ miss out on Cooper Rose’s feisty persona in this indie x rock n roll outburst. Dancehall: If you enjoy a ‘nice’ show, with sit-down calm atmosphere, you can forget it with Dancehall. They do energy, and they do it damn well. Rock, punk, thrash, chaos and a bit of peroxide never hurt anyone. This trio are something special so catch them early on. Big Spring (HEADLINERS): If you don’t know Big Spring, this is your chance to get them in your world. Already championed by the likes of BBC Radio 1, Amazing Radio, Kerrang etc and multiple festival bookings, we’re delighted to see them play a small venue with such a fierce supporting line-up. With a new EP imminent on the release schedule come down and rock out with one of the UK’s best new rock acts to spew themselves out of the scene over the past couple of years.